CANU - Well Built in 2013. This spacious top floor corner unit is a 2 bedroom, 2 bathroom and den and is close to everything. 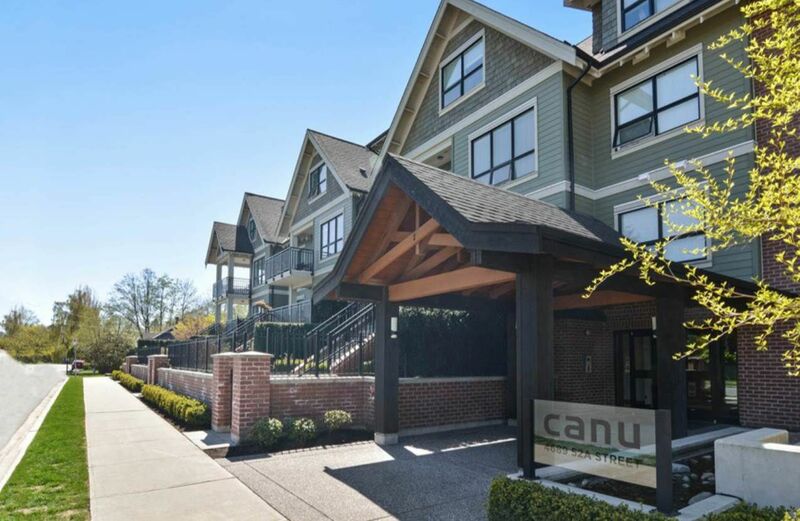 It features 9 ft ceilings (vaulted ceilings in the bedrooms) with 3 skylights, 2 parking spots, TONS of storage in the unit and a storage locker, bike locker, covered balcony, engineered hardwood, in-suite laundry, and a beautiful kitchen with Stainless steel and granite. Large ensuite Master Bathroom with walk-in shower. Visitors Parking, car wash bay and your pets are welcome.